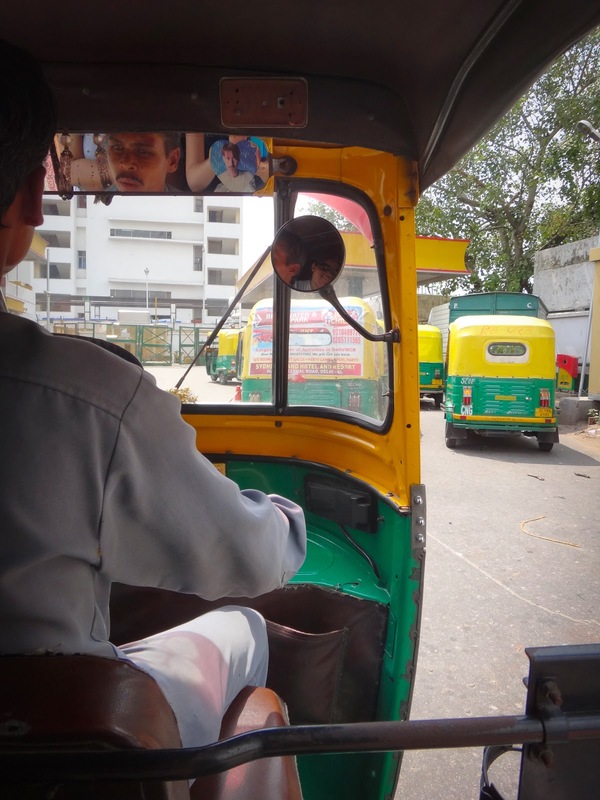 It usually happens when you're in a hurry and can least afford the time: the auto rickshaw driver stops for petrol. And though I don't ever see passengers in the other autos lined up, I assume I'm not the only one this happens to, right? In this instance, the driver said it was needed, and this line was just too short to pass up. 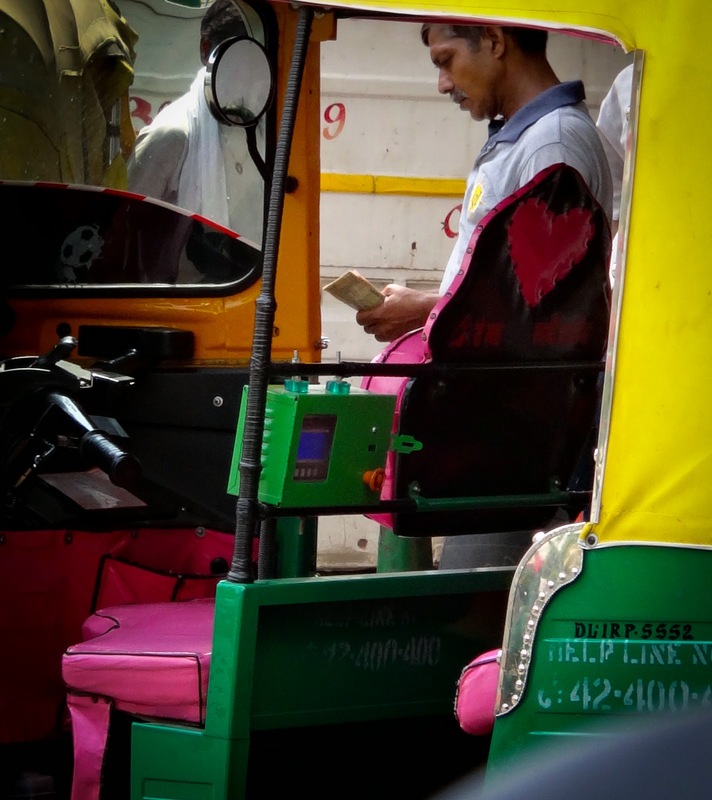 One bonus to the time in line there was seeing this auto decked out in pink and hearts. 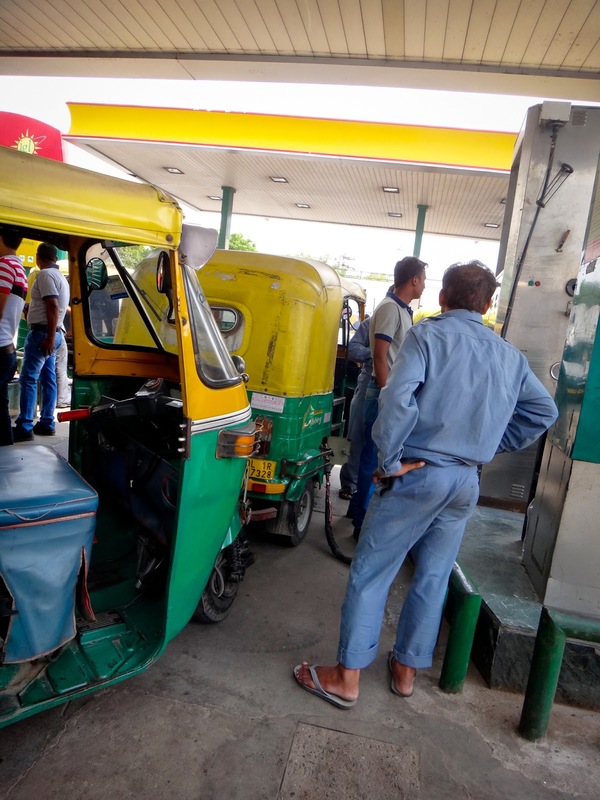 It is the law that for safety's sake everyone has to step out of the vehicle while it is being filled with the CNG. It does strike me, though, that if we are all standing within 5 feet of an auto that is going to explode, it is not going to make a bit of difference whether we were inside it or not.